Kullu is located at an altitude of 1200 m above sea level at the confluence of Beas and Sarvari rivers in the state of Himachal Pradesh. 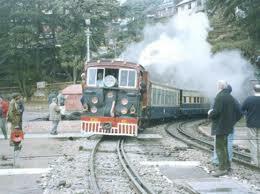 It is at a distance of 240 km towards the north of Shimla. Kullu is a small hill station with several panoramic spots and tourist attractions. Besides being a popular hill station,Kullu has a lot of temples some of which are quite old. You can pay visit to the Raghunathji Temple,Vaishno Devi Temple and Bijli Mahadev Temple. 15 km from Kullu is Bajura famous for 8th century AD temple of Basheshwar Mahadev. Katrain is 20 km from Kullu on the way to Manali and is famous for orchards of apples and fish farming. Naggar is situated on the left bank of river Beas. It was the capital of former state of Kullu for almost 1400 years. You can visit quite a few famous temples over here like Vishnu Temple,Tripura Sundari Temple and Krishna Temple. Larji,famous for trout fishing,is a small hamlet 34 km from Kullu. 42 km from Kullu is Kasol on the bank of river Parvati. Along with the picturesque location,Kasol is also known for trout fishing. Manikaran,famous for hot water springs,is 45 km from Kullu. It is an established pilgrim center for Hindus and Sikhs as there are temples of Ramchandra and Shiva along with a Gurudwara. By Air: the nearest airport is at a distance of 10 km at Bhuntar and is connected by Indian Airlines,Trans Bharat Aviation and Jagson Flights with Delhi & Shimla. By Rail: The nearest railheads are at Kalka,Chandigarh and Pathankot on Broad Gauge. By Road: Kullu is well connected by surface network with Delhi,Ambala,Chandigarh,Shimla,Dehradun,Pathankot,Dharamsala and Dalhousie. Regular buses services run between these stations. Best Tour Packages offers tour booking and tour packages for Kullu,Himachal Pradesh. To book a tour or for more information,please fill up the form below.